To opt out of less-healthy options like milkshakes or ice cream, beat the heat and cool down while making delicious guilt-free choices! 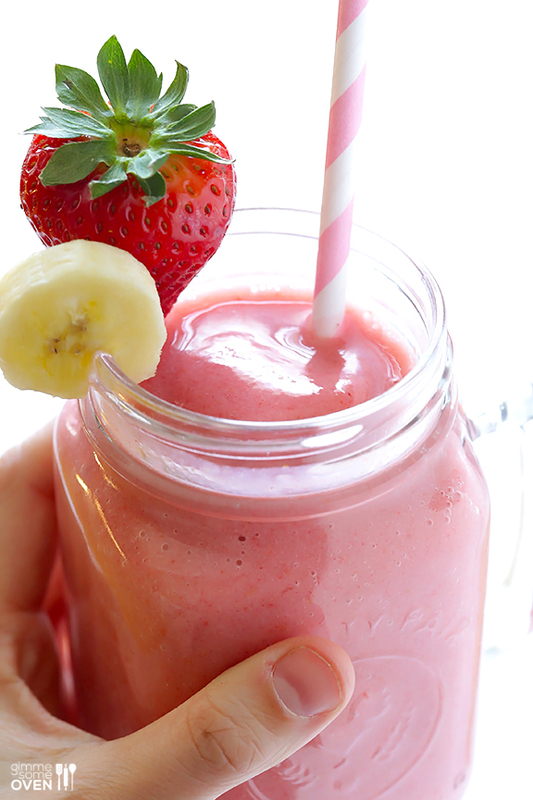 Check out some of our favorite healthy summer smoothie recipes! 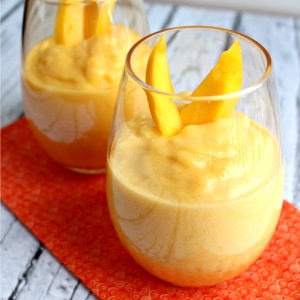 Blend 1 cup each chopped fresh or frozen peaches and mango, 1 cup each plain yogurt and ice, 1/2 banana, and sugar to taste. 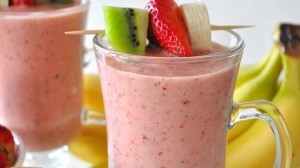 Blend 1 cup strawberries, 2 peeled kiwis,2 tablespoons sugar and 2 cups ice. 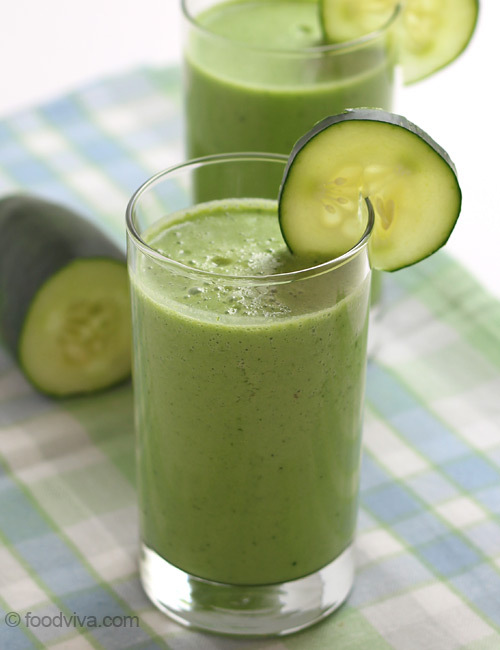 Peel, seed and chop 2 medium cucumbers. 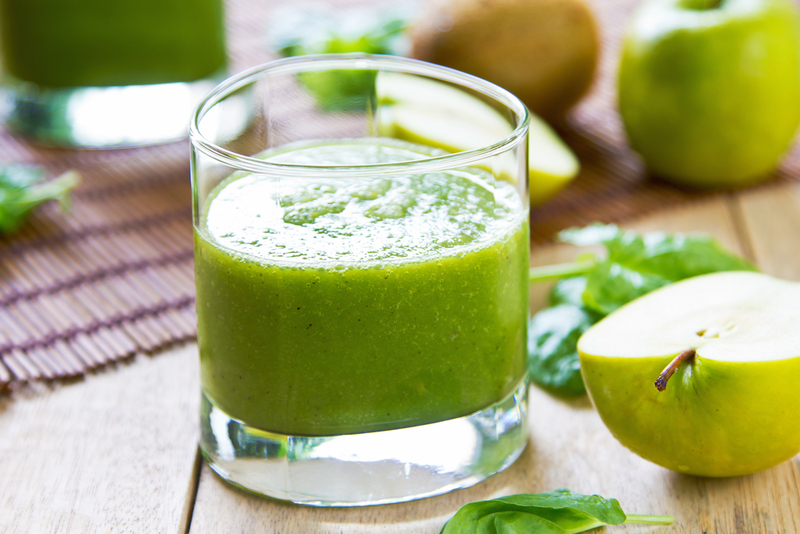 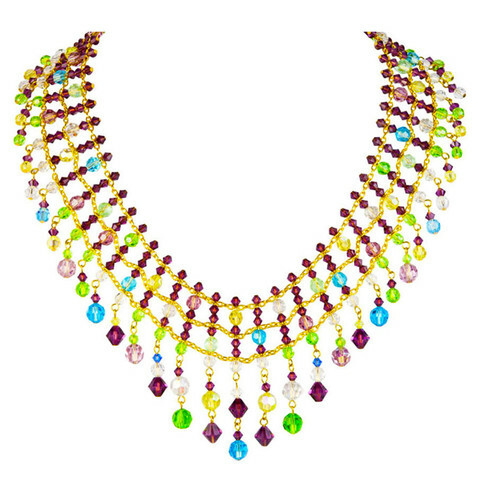 Blend with the juice of 1 lime, 1/2 cup water, 1 cup ice and 3 to 4 tablespoons sugar or honey. 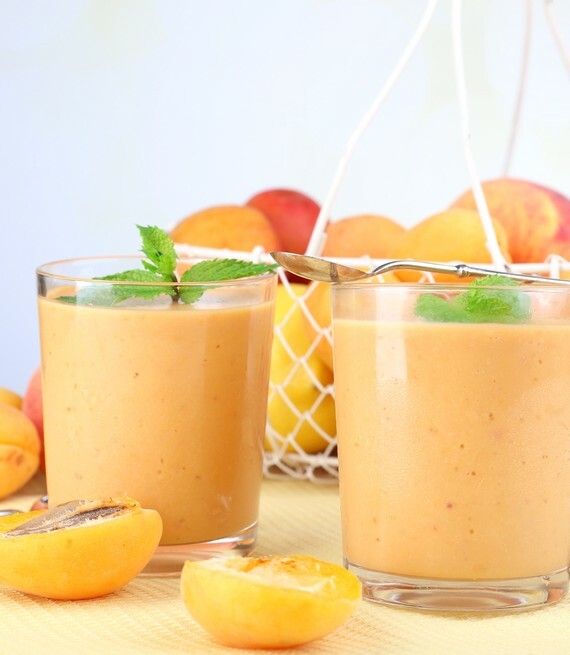 Blend 1 1/2 cups apricot nectar, 1/2 cup vanilla yogurt, 2 tablespoons almond butter and 1 cup ice. 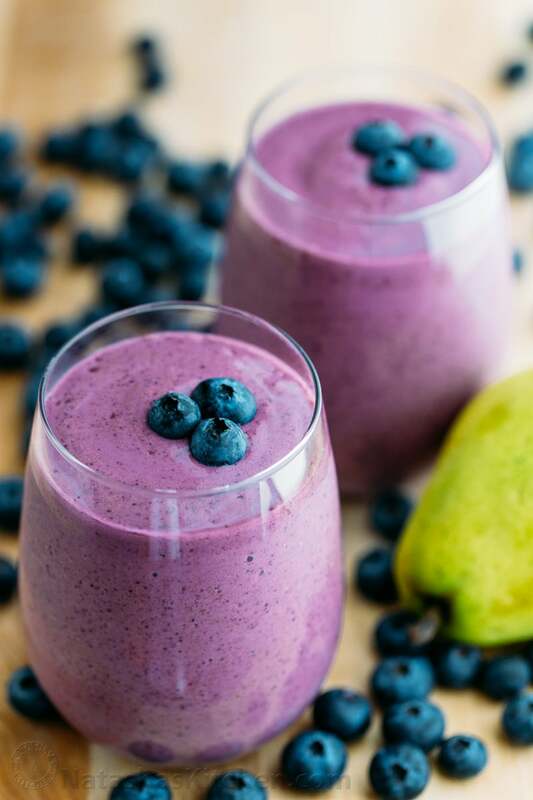 Blend 1 1/2 cups frozen blueberries, 1 chopped pear, 1 1/2 cups each maple or plain yogurt and ice, and sugar to taste. Blend 1 cup frozen pitted cherries, 3/4 cup pomegranate juice, 1/2 cup plain yogurt, 1 tablespoon honey, 1 teaspoon lemon juice, a pinch each of cinnamon and salt, and 2 cups ice. 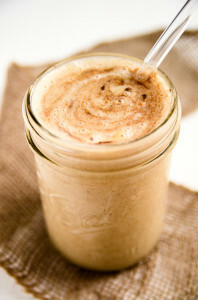 Blend 1 1/2 cups chai tea concentrate with 1 cup each milk and ice. Sprinkle with chai spice or ground cinnamon. 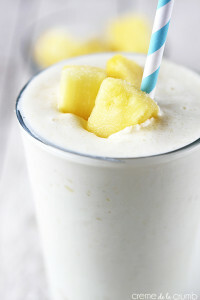 Blend 2 cups chopped pineapple, 1/2 cup cottage cheese, 1/4 cup milk, 2 teaspoons honey, 1/4 teaspoon vanilla, a pinch each of nutmeg and salt, and 2 cups ice. 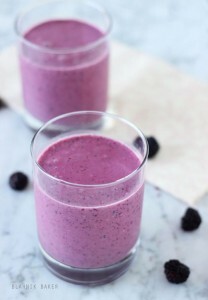 Blend 1 pint blackberries, 1/2 cup raspberries, 1 cup vanilla yogurt and 1 tablespoon honey. 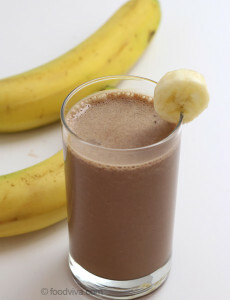 Blend 1 banana, 1 cup chocolate ice cream, 1/2 cup milk, a pinch of salt and 1/2 cup ice. Blend 2 cups spinach, 1 chopped peeled apple, 1/2 cup silken tofu, 1/4 cup each soy milk and orange juice, 1 tablespoon each wheat germ, honey and lemon juice, and 1 cup ice. 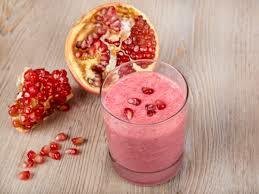 Share the post "Beat the Heat: Healthy Summer Smoothie Recipes"